Clueless Reporter To Tomas Berdych, Who Lost: How Did It Feel To Win? 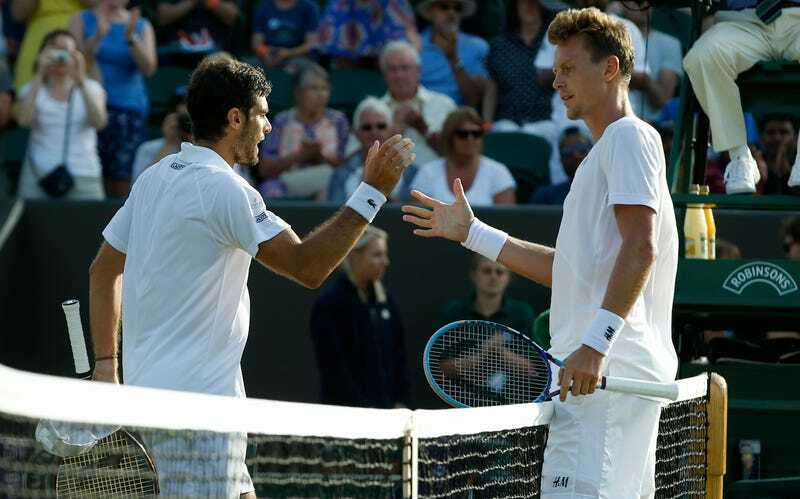 Sixth seed Tomas Berdych went down in straight sets to Gilles Simon at Wimbledon today. That was news to—oh god—the very first reporter to ask Berdych a question at his press conference. In a way, we’re all winners, and we all feel in good shape going into the quarterfinals. But in another way: watch the damn match before you ask a question.